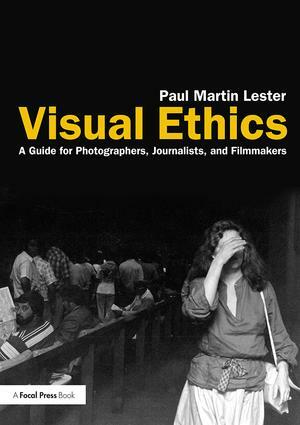 Visual Ethics addresses the need for critical thinking and ethical behavior among professionals responsible for visual messages in photography and photojournalism, film, and digital media. From the author of Photojournalism: An Ethical Approach, published more than 20 years ago, this book goes beyond photojournalism ethics. It discusses crucial contemporary concerns, including persuasion, stereotyping, global perspectives, graphic design decisions, multimedia production, social media, and more. Written for an ever-growing discipline, author Paul Martin Lester gives serious ethical consideration to the complex field of visual communication. Paul Martin Lester is a Clinical Professor for the School of Arts, Technology, and Emerging Communication at the University of Texas at Dallas. He is the author or editor of several books that include Visual Communication: Images with Messages, Seventh Edition (2017), Digital Innovations for Mass Communications: Engaging the User (2014), and Images that Injure: Pictorial Stereotypes in the Media, Third Edition with Susan Ross (2011). Stephanie A. Martin is an Assistant Professor of political communication in the Division of Corporate Communication and Public Affairs at Southern Methodist University. She is editor of Columns to Characters: The Presidency and the Press Enter the Digital Age (2017). Her work has also appeared in Rhetoric & Public Affairs and Visual Communication Quarterly, as well as in book chapters in several edited volumes. Martin Smith-Rodden is an Assistant Professor for Journalism and thecoordinator of the Photojournalism Sequence at Ball State University. He holds a PhD in Applied Psychological Science and a Master of Science in Experimental Psychology from Old Dominion University. For more than three decades he’s been a photojournalist, photo editor and team leader, as well as being a cognitive psychologist.